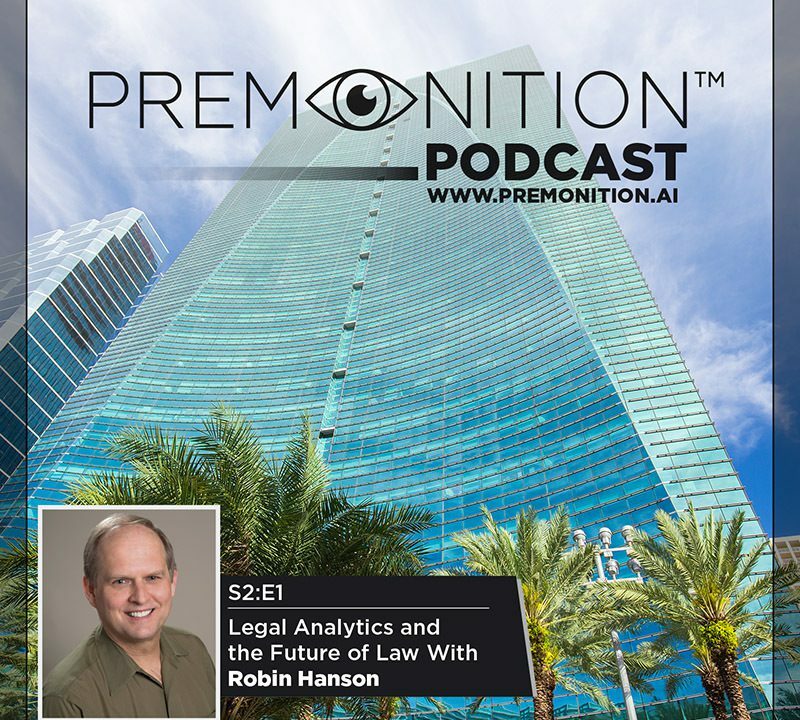 Ian Collins speaks to Robin Hanson, who is an associate professor of economics and an author, about legal analytics and the future of law, which culminates in a discussion around a new improved legal system in an ideal world. 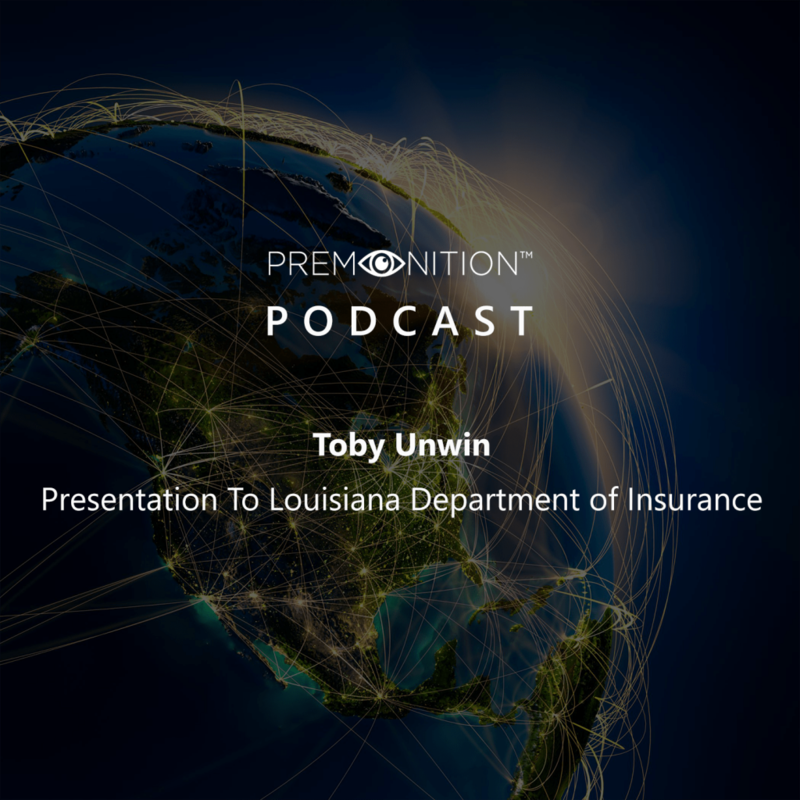 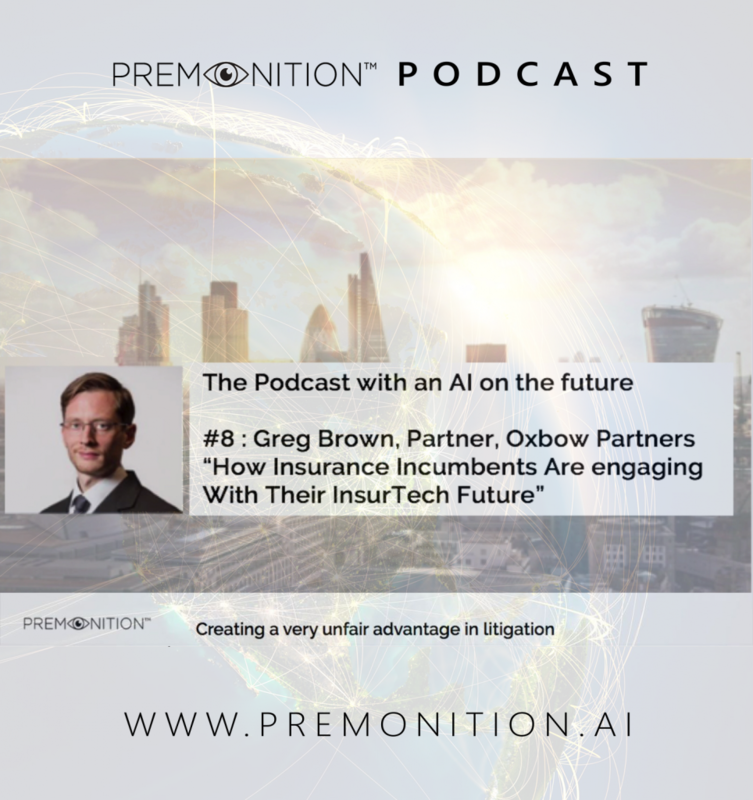 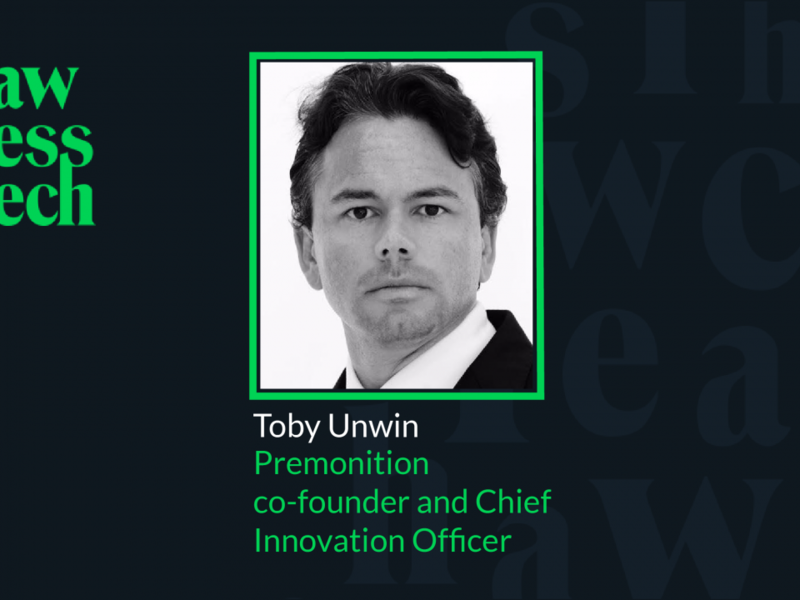 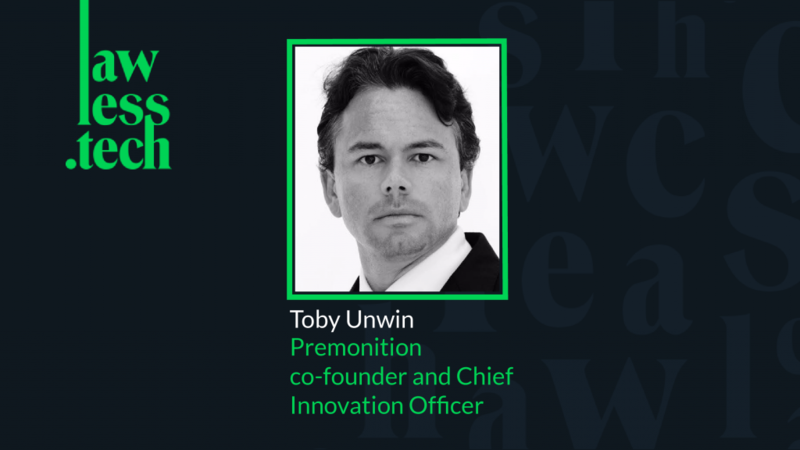 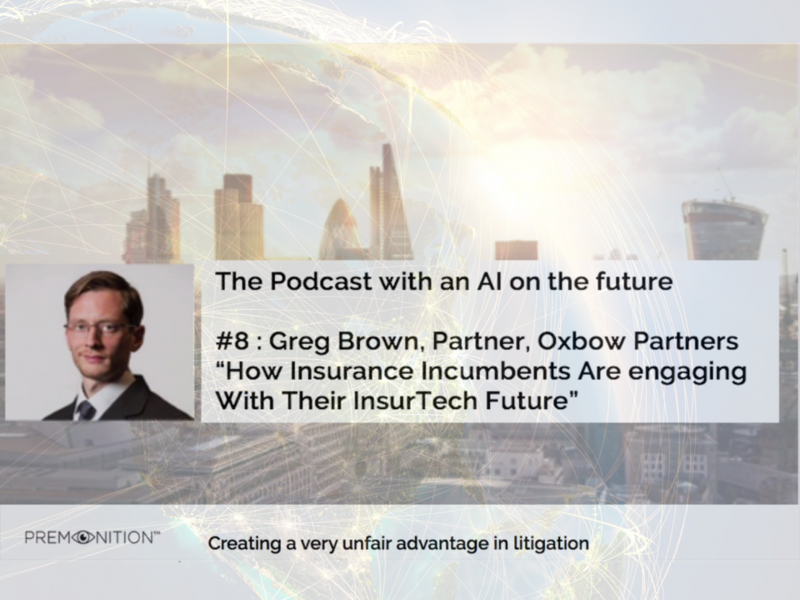 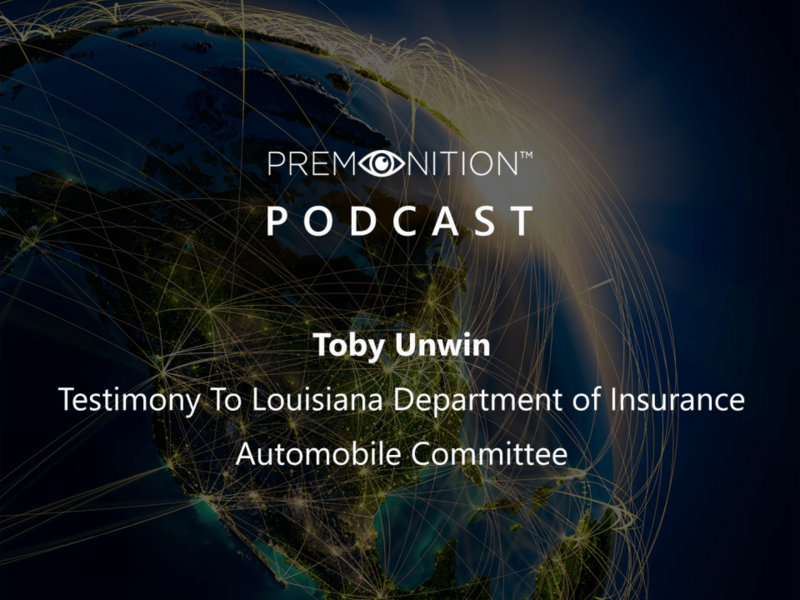 Premonition Podcast with an AI on the future, Greg Brown, Partner, Oxbow Partners, How insurance incumbents are engaging with their InsurTech future. 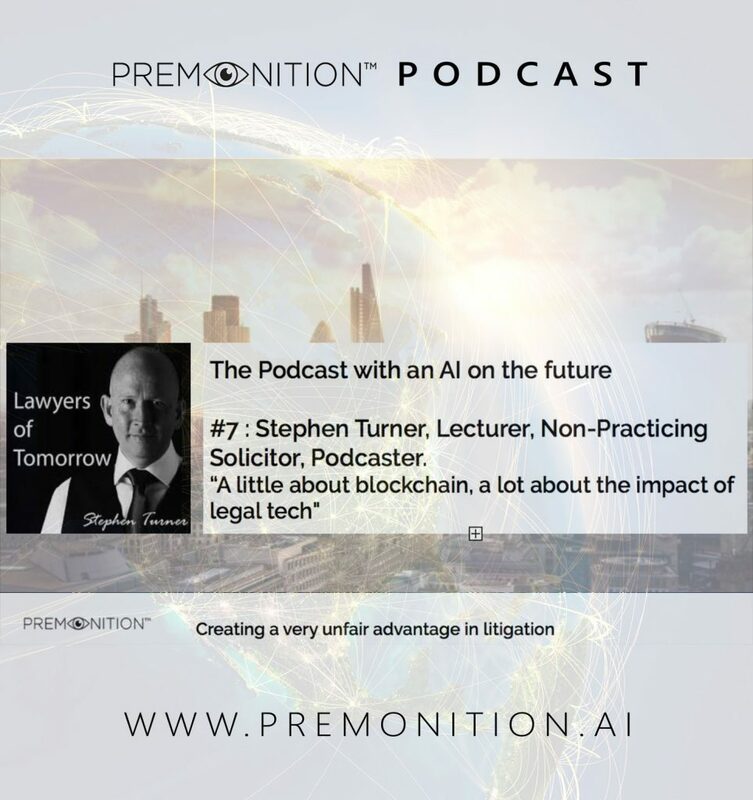 Premonition Podcast With Stephen Turner, lecturer, non-practicing solicitor, podcaster. 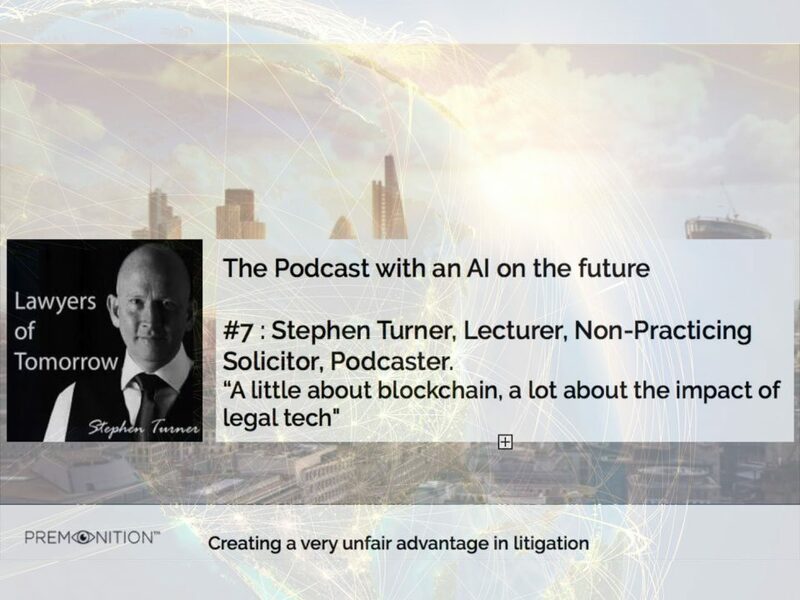 A little about blockchain, a lot about impact of legal tech. 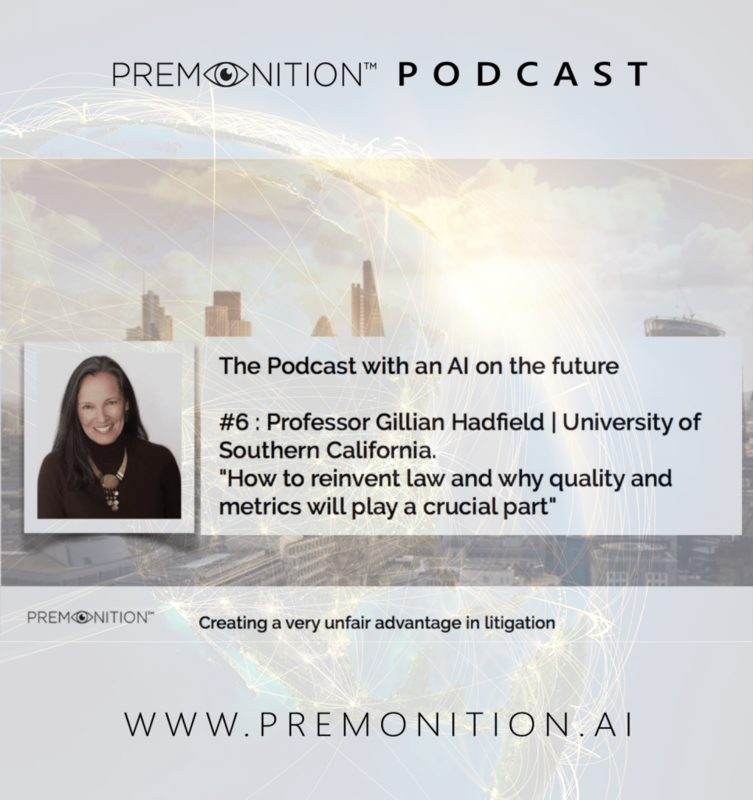 Premonition Podcast with Professor Gillian Hadfield. 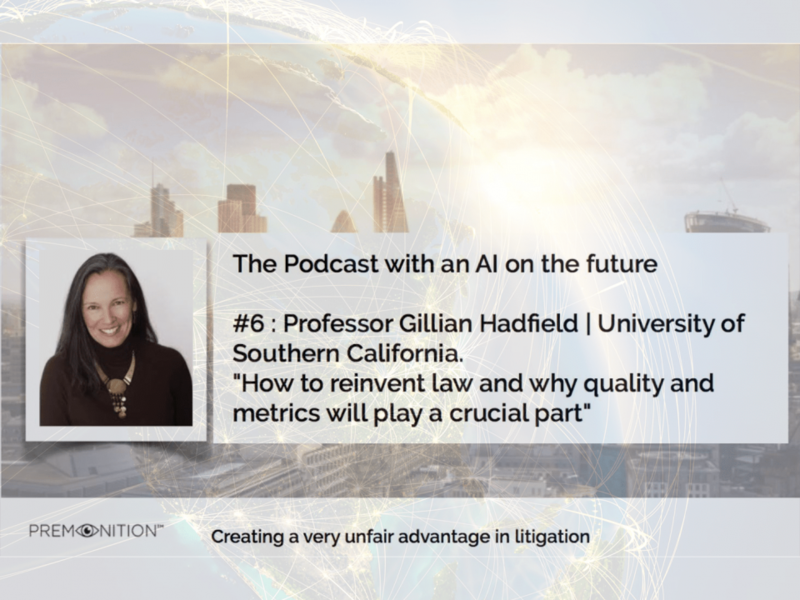 How to reinvent law and why quality and metrics, will play a crucial part. 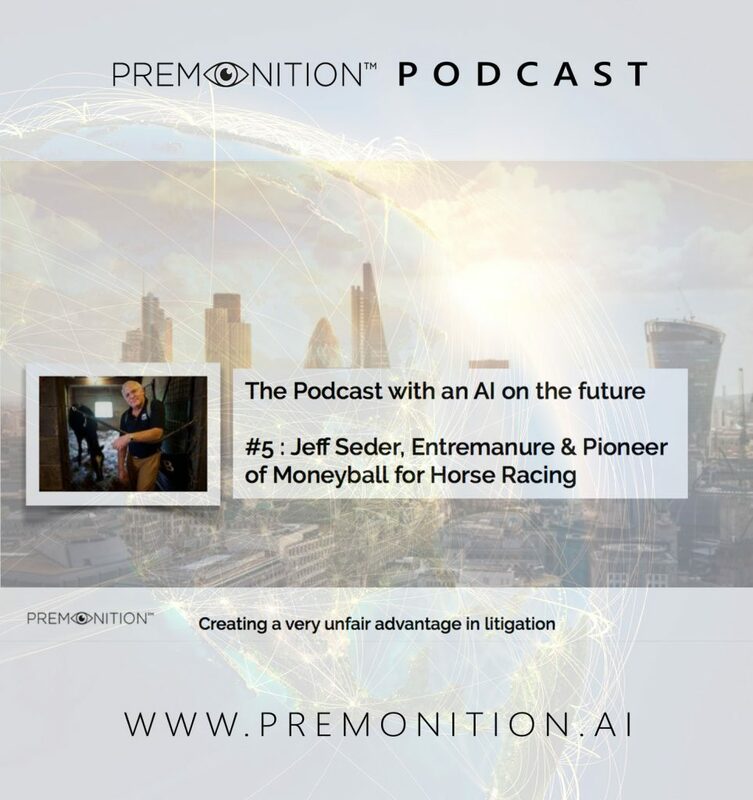 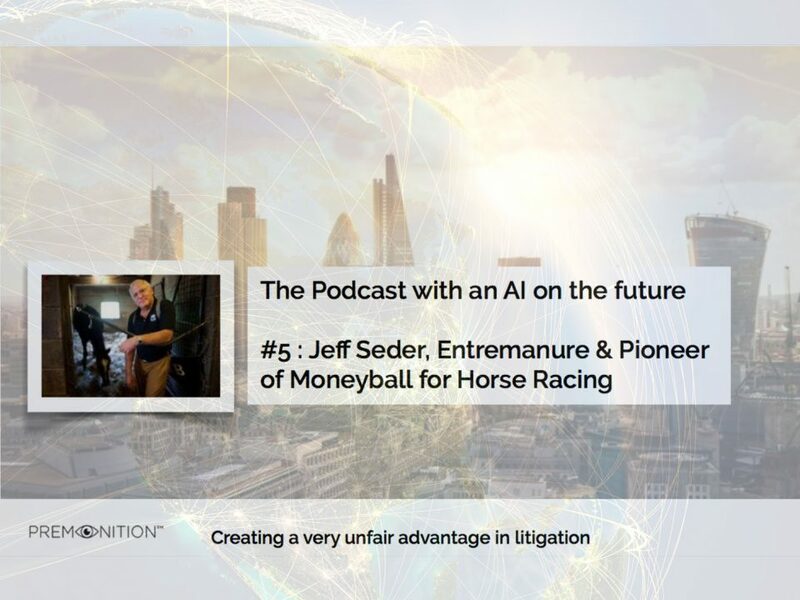 AI on the Future Podcast with Jeff Seeder | Entrepreneur and Pioneer of Moneyball for Horse Racing | Premonition Analytics. 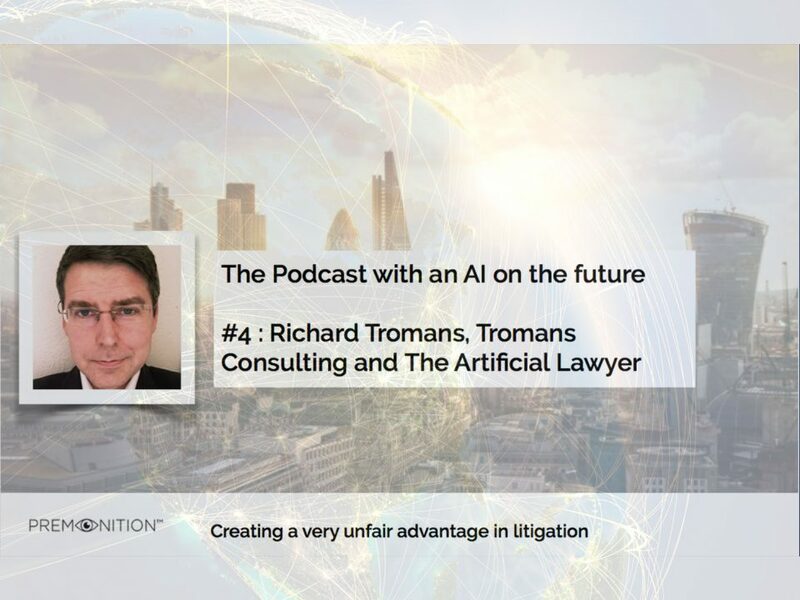 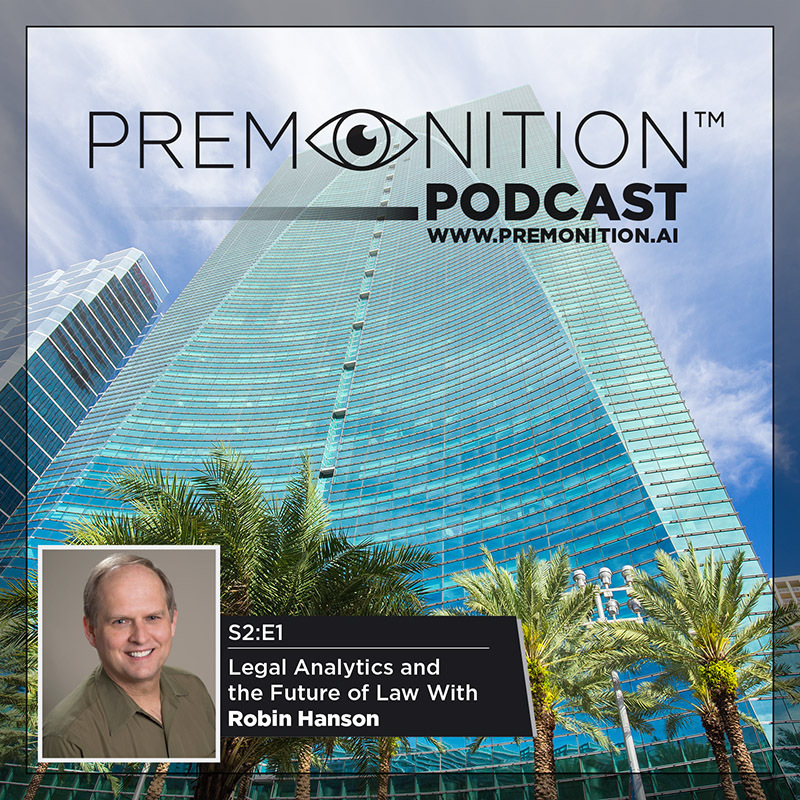 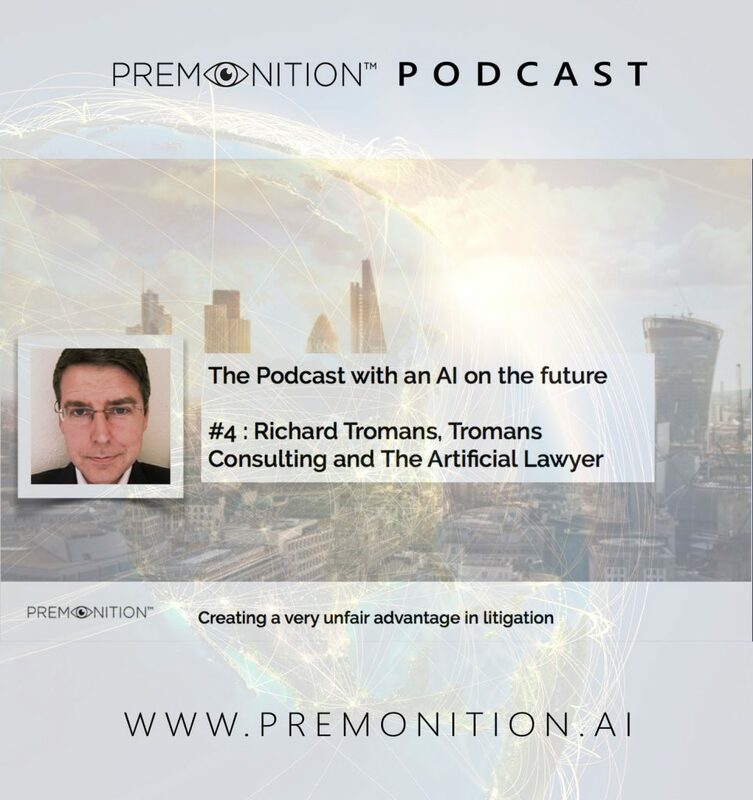 AI on the Future Podcast with Richard Tromans | Tromans Consulting and Artificial Lawyer | Premonition Analytics.